Bill 'Sparky' Lomax Memorial Match. Sign on outside the Egremont Ferry Pub, 48 Tobin St, Wallasey CH44 8DF. from 09.30 on the day. £5 entry fee (All proceeds go to the RNLI). There will be table prizes. But NO cash prizes, apart from pools money. £5 optional pools. 1st, 2nd, 3rd for both heaviest flat and round. Heaviest fish, Wins the Akios Reel. Juniors are welcome and can fish FREE, there will be a separate junior prize. Juniors MUST cast for themselves and MUST be accompanied by a Parent or Guardian. There will be a prize table, which is sponsored by..
13. In the event of a tie for overall single fish weight. The total combined round and/or flat weight shall win. 14. The Weigh-in will be outside the Egremont Ferry, up to 4pm. 15. Strictly NO driving or parking on the promenade. 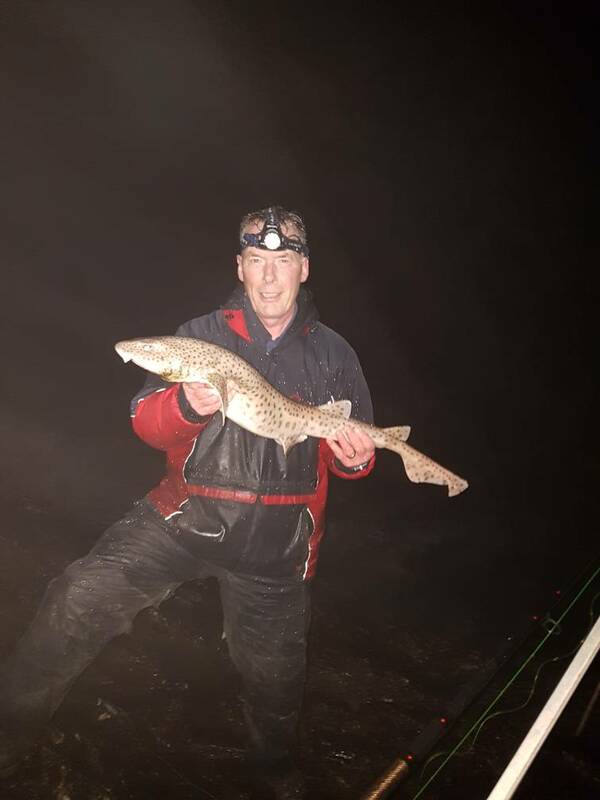 2017 Species Hunt....Dab, Whiting, Rockling, Plaice, Flounder, Dogfish, Bass, Tope, Sole, Tub Gurnard, Turbot. 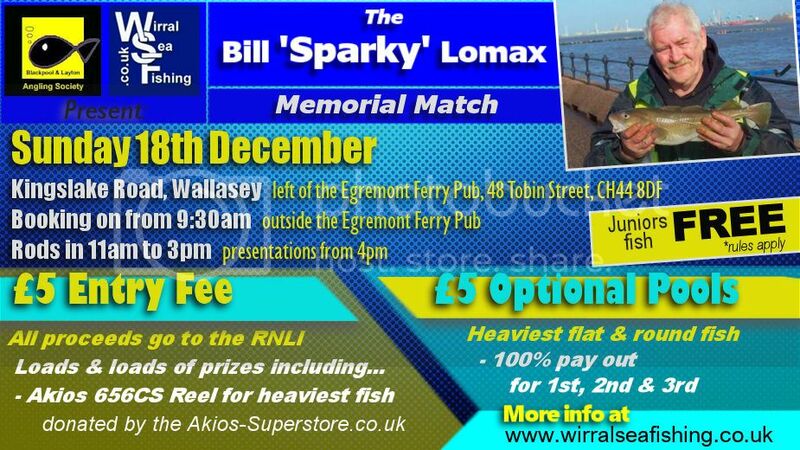 Re: Bill 'Sparky' Lomax Memorial Match. As most of you on this forum knew Sparky, i hope you will attend. This is for a good cause (RNLI). We need sponsors...! (prizes), which will be much appreciated. This will be a one off match and want to make it a brilliant match. More details and sponsors will be added as things progress. Steve Duffy wrote: Thats ace Iain. Due to Unforeseen circumstances, This match has been Postponed for now and will be put on at a later date.